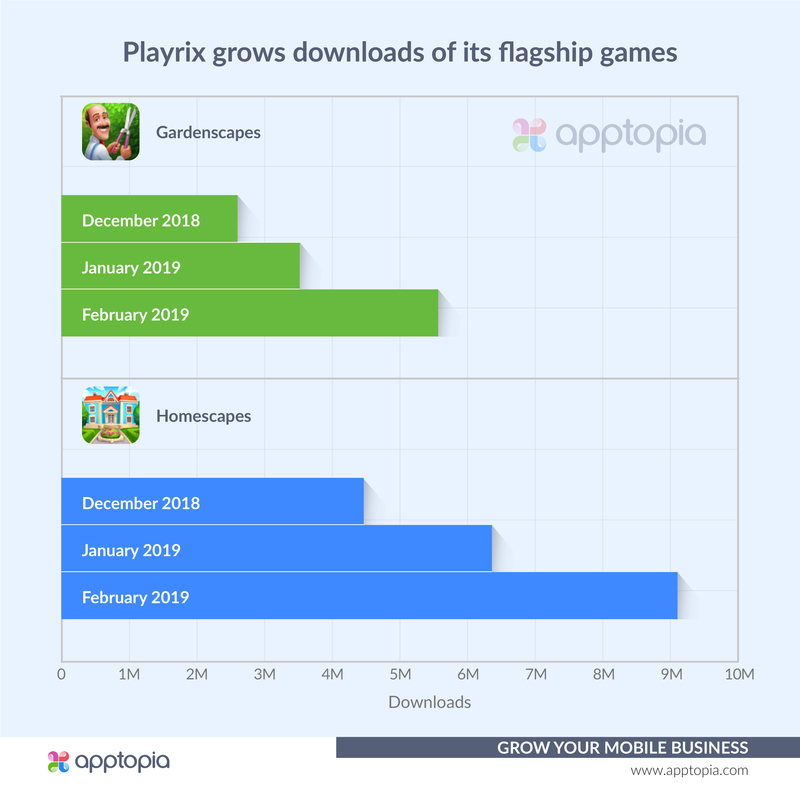 Recently, Playrix’s two flagship games have boosted worldwide downloads dramatically since December. Not included in the chart below is the month of March which is currently on pace to surpass that of February. 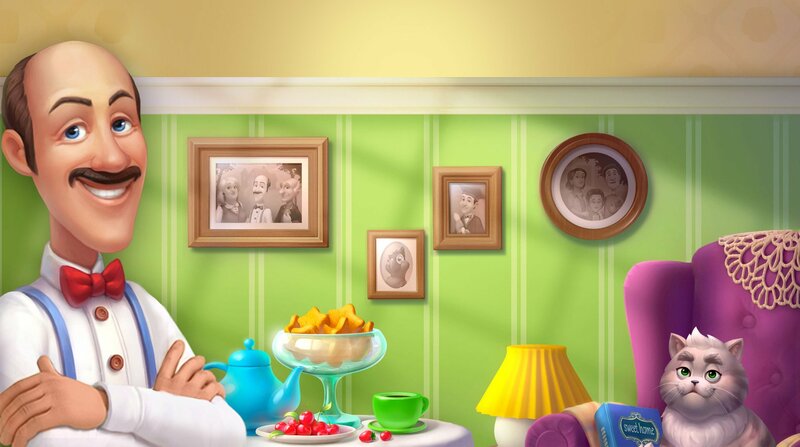 December through February, Homescapes has been downloaded 19.8 million times while Gardenscapes has been downloaded 12 million times. Where are the new installs coming from? It’s spread out pretty well across the globe but The United States, Russia and India are the top three markets for both games, and in that order. According to GameRefinery, despite their rise in downloads, neither Gardenscapes nor Homescapes has seen feature changes to the game in the past few months. Instead, Playrix’s live ops teams are doing a great job of delivering engaging content, particularly in the form of events and egged on by the success of their primary competitor, Matchington Mansion. 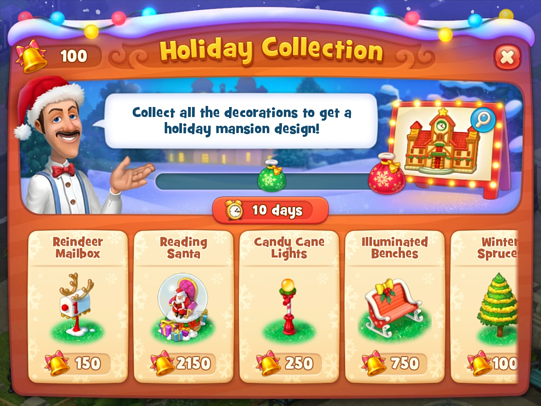 Both Gardenscapes and Homescapes are constantly featuring recurring and non-recurring events to boost player engagement and monetization. It’s apparent that proper live ops with a plethora of different events are a must when looking at the importance of events in Match3s overall. Based on GameRefinery’s data, 100% of Match3 games in the top 100 grossing have non-recurring live events, whereas this drops down to 61% outside the top 100. When looking at recurring events, 93% of top 100 grossing Match3 games include them, with only 45% of Match3 games outside the top 100 doing the same. We can see on iOS specifically, there has not only been a surge in impressions but in number of advertising networks Playrix is working with. On iOS, Playrix's top ads by impression share are videos, while on Google Play they are interstitials. Across both games and both platforms, the publisher's longest running ads are mostly native ads on MoPub.